When we talk about cleaning our Mac we always think of automatically deleting unnecessary files, uninstalling a program, etc. However, there are also products that do it all for you automatically like Mackeeper, a product that helps you protect, clean and optimize Mac computers. Mackeeper is an innovative product that after long research and development have been classified as one of the best types of software to clean, optimize and protect the Mac easily and quickly without compromising your important data. Mackeeper is a product of ZeoBIT. It was founded and grew from its roots in Kiev in 2008 to expand years later to Silicon Valley in the United States. It has a total of more than 100 employees who work in the active development of Apple Mac OS software. Mackeeper has been awarded from several popular software magazines like Tucows, Soft82, Brothersoft or the popular Softonic. Following the success achieved by ZeoBIT, in 2012 came the sale of MacKeeper to the German company Kromtech, which ensured and committed to keeping Mackeeper under strict quality standards in their developments. 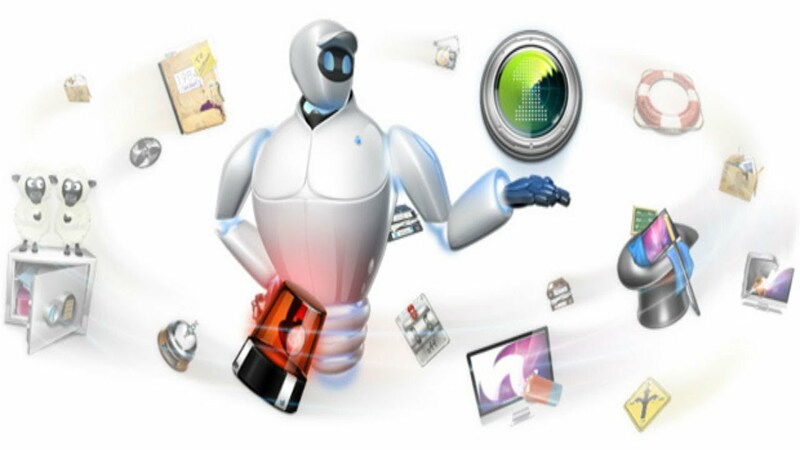 Mackeeper has long been synonymous with software specialized in cleaning and protection of Mac. Today we will see what it has to offer. Let’s see what are the main features of this software for Mac OS. Mackeeper includes a function to clean the Mac called Binaries Cutter , with them you will be able to erase data from applications that you no longer use as much or are totally unnecessary. A classic example of this is, for example, the languages of the different Mac applications. They all include dozens of extra languages, but you only use one, the Spanish. With this utility you will be able to erase the different languages that are not necessary on your PC, thus freeing up a significant disk space. With language cutter you can delete those elements of languages that are not necessary on your Mac and you will have more free space. Apart from this, you can also make use of LogCleaner to make MacKeeper leave your disk and cache super clean. In all the operating systems it is necessary to have a good antivirus, however, another important thing is to have an anti-theft system. Anti-theft systems that include MacKeeper help you detect where your Mac is at all times, and with iSight, you can automatically take photos of the thief. MacKeeper can also help you protect your privacy thanks to Fileshredder, a utility that in the case of loss or theft, your Mac can erase all your files in 1 minute. This utility is also very useful if you sell your old Mac to someone else tomorrow and you do not want to leave a trace of anything. Mac Keeper also has an anti-malware system inside to alert and protect us at all times from malware infections on different untrusted websites. You can enjoy daily backups or when you want thanks to the utility of backup and recovery of data with File recovery in case you lose important files or directories of your Mac. In addition, it includes a function called data encryptor, which allows opening documents and files only by the same person who previously encrypted them. Update tracker is another of Mackeeper’s most useful features, it will help you to always have the latest Mac updates applied to prevent bugs and avoid vulnerabilities. As if that were not enough, it also allows us to optimize the start of our Mac, allowing us to remove apps that do not use, and thus accelerating the performance of the computer. It also includes another valuable feature called Default Apps, which will allow you to choose the apps to open certain types of files. Mackeeper is undoubtedly one of the best pieces of software for Mac. With this software, Kromtech offers a robust and complete solution with more than 10 useful applications to optimize the performance, backups, and security of our Mac. The best thing is that you can try Mac keeper free to optimize and clean the Apple or PC whenever you want, you just download it from your web.